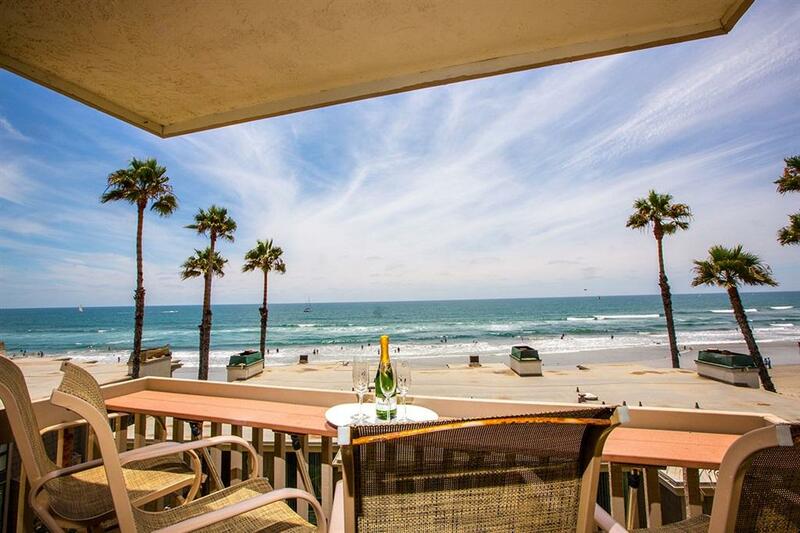 SPECTACULAR PANORAMIC OCEAN VIEWS from this 2 bed, one-story luxury beach home! One of the best ocean views in North Coast Village, this rarely available 2 bedroom, one story luxury condominium will take your breath away! 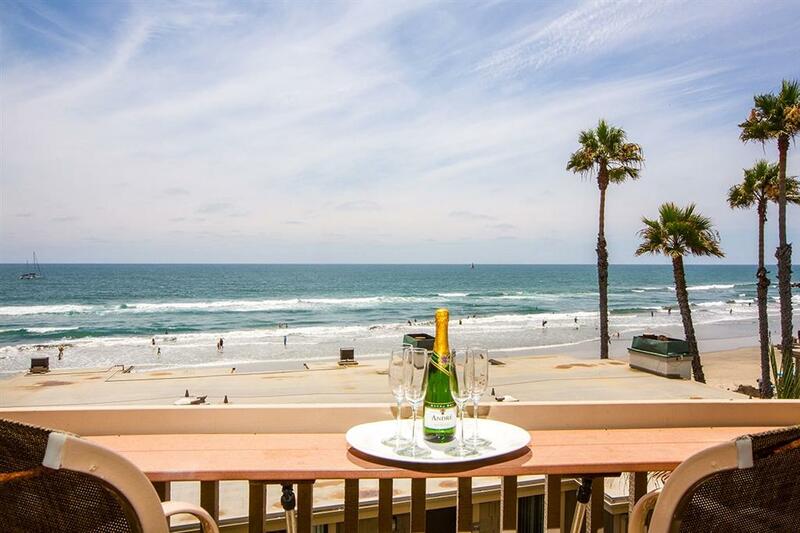 Enjoy unobstructed ocean vistas as far as the eye can see: south, west, & north, as well as the soothing sounds of the surf. Sold COMPLETELY FURNISHED, this home is absolutely turn-key with a plethora of upgrades: stainless steel appliances, crown molding, and stylish fixtures are only.. .. some of the upgrades adorned in this home. North Coast Village offers billiards, ping pong, a fitness center with sauna, and a barbecue area overlooking the pool for parties. The complex consists of ten four-story buildings surrounded by 2-story cottages, on several acres of beautifully landscaped grounds with streams, waterfalls, and tropical gardens. You are just steps from the sand; there are no roads to cross-this is an OCEANFRONT COMPLEX! Swim in the large lagoon-style heated pool (one of two pools and spas), or enjoy a romantic walk on one of the most beautiful stretches of beach in Southern California. You will also find reserved garage parking, cable television, a recreation center, clubhouse with kitchen, massive stone fireplace and cedar walls, as well as laundry facilities. 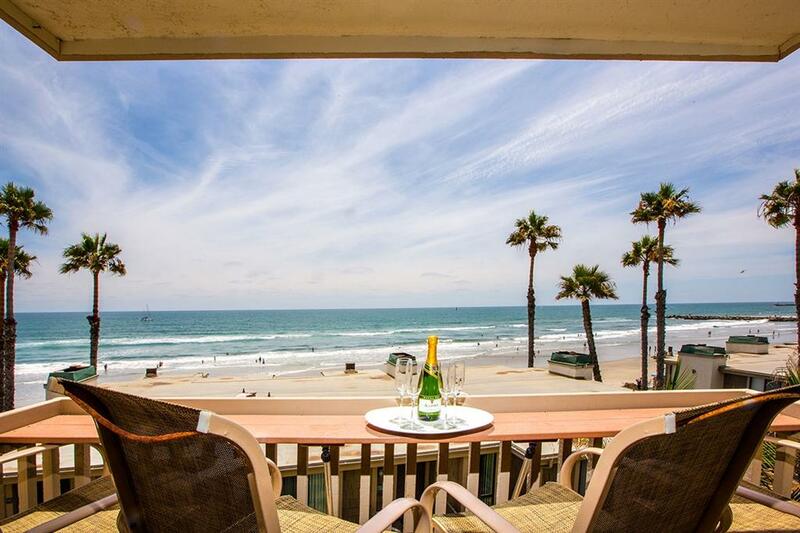 North Coast Village is located between the Oceanside Harbor and the Oceanside Pier, and is a favorite destination for people from around the world. This is a great area for riding bikes! A beautiful, scenic bike trail starts right across the street from the complex or bike along HISTORIC Pacific Coast Highway. Experience spectacular sunsets and enjoy a relaxing dinner along the picturesque adjacent harbor which features several excellent restaurants, great live music, and fun and unique shopping. There are also kayak, boat, and paddle boat rentals, and fishing or whale watching excursions. Downtown Oceanside is a neighborhood that knows its potential. With brand new renovations recently completed, new, exciting restaurants and hotels are opening all year! 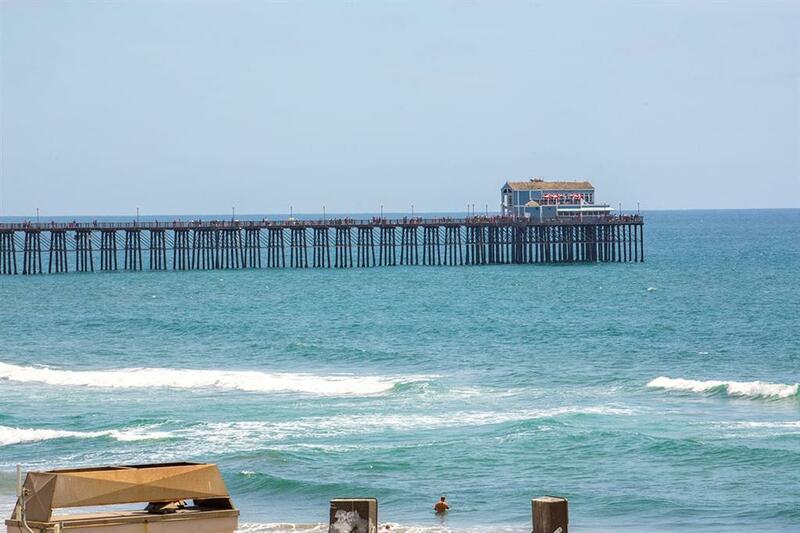 At the end of the Oceanside Pier you'll find Ruby's, a fun family restaurant. The Main Street Oceanside Farmer's Market is a delightful experience near the Pier which offers fresh produce every Thursday from 9-1, and the Sunset Market offering food booths from around the world and live music Thursday evenings from 5-9. Within a short drive, enjoy Disneyland, Knott's Berry Farm, Universal Studios, Legoland, Wild Animal Park, SeaWorld, San Diego Zoo, La Jolla, Balboa Park, the Gaslamp Distract and Del Mar Race Tracks. Craft beer capital of the US! Enjoy your favorites like Stone, Ballast Point and Green Flash or explore something new are creative at places like Masters in Oceanside!